Terresque® from the Best Living series is a natural beauty. 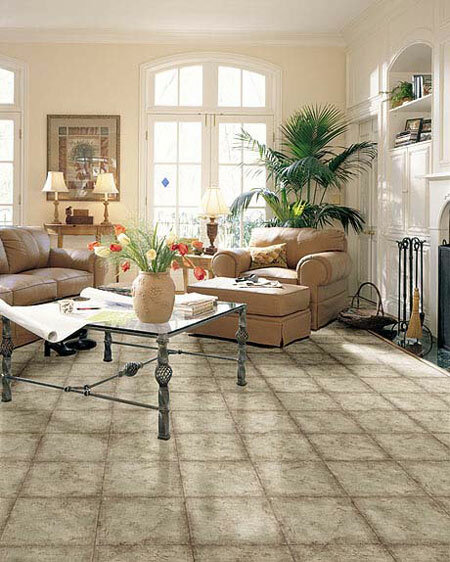 Its stylish good looks replicate the textures and patterns of ceramic tile and stone. Terresque features Pearllux® technology which adds the beauty of an enriched pearlescent look and it also adds dual gloss level. The surface is protected by the Ultra Clean® low gloss no-wax urethane finish that resists scuffs, scratches and stains. Decorating in the new millennium is a challenge. You want flooring that’s fashionable today - but that will also be in style five or ten years from now. That’s Domco. Click here for more information about Domco Vinyl Flooring.